Helloo, it's nice to be back to the forums after a semester-long hiatus :redface: even if it's in the midst of the news drought! And what better to do in this drought but to sit and talk theories together lol...I hope this hasn't been asked before, but I wanted to know what the KHI community thinks about the Terra/Riku parallel. What I mean by that is that both Terra and Riku are good people who made bad decisions and were prone and easily lured to the darkness. Both of them regret their being swallowed by the darkness and both are at different points on the journey to freeing themselves from it...Terra still struggling of course since he's stuck under MX's control and Riku being almost completely free. The source of the parallel? As in why we think it happened? Personally I blame this solely on Nomura always feeling he needs to base his characters on existing ones. Whether it's literally (Ven, Roxas, Sora) or in personality like here. He was surprised to even see Aqua, his most original in years, get popular. They never needed to met in the first place because their parallel could have simply have been their similar character arcs. And why did both of them fall into darkness? It's easy, the more attractive you are the more likely you are to get taken over by the darkness. 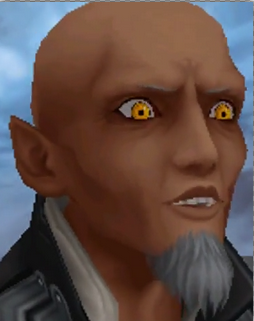 So... it was 'vessels' you wanted, right Xehanort?